One of the young Grey Herons on the island had flown up into a treetop. ... and there was a noisy and frantic begging display. 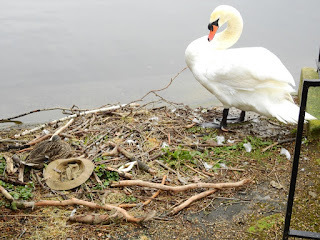 The male Mute Swan at the boathouse now has not only a hat on his nest, but a sleeping Mallard. She was left alone for the time being. The Egyptian Geese with two goslings are looking after them with care, and the goslings follow their mother obediently. 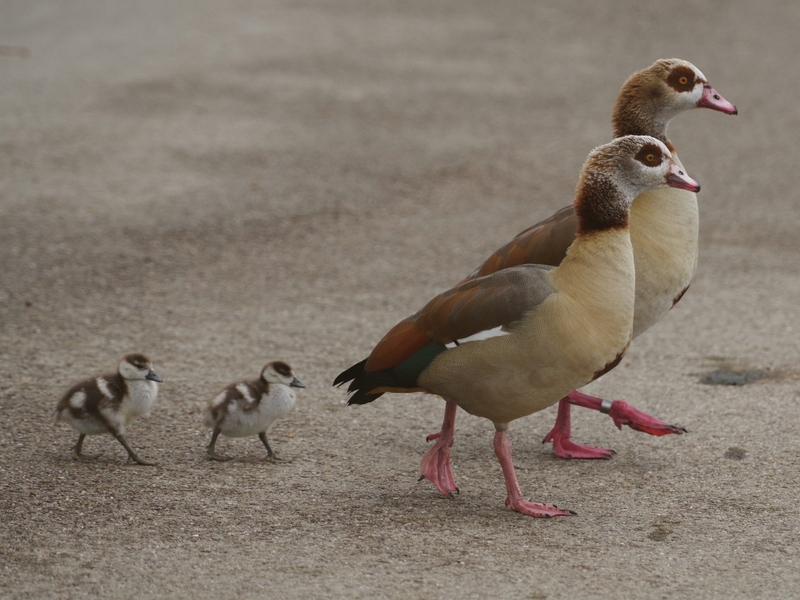 Goslings that wander off get eaten, and the other two families are now down to six and four. 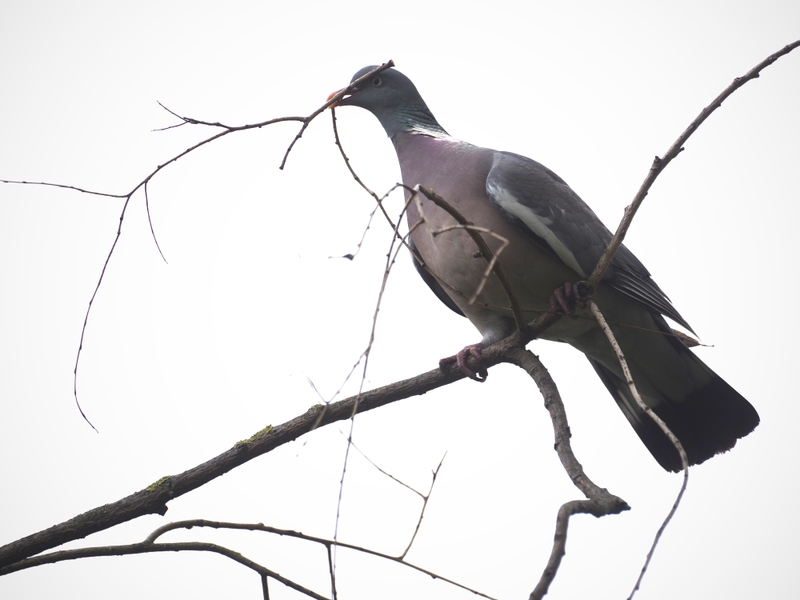 A Greylag Goose chewed a branch, I think trying to get small snails off it. 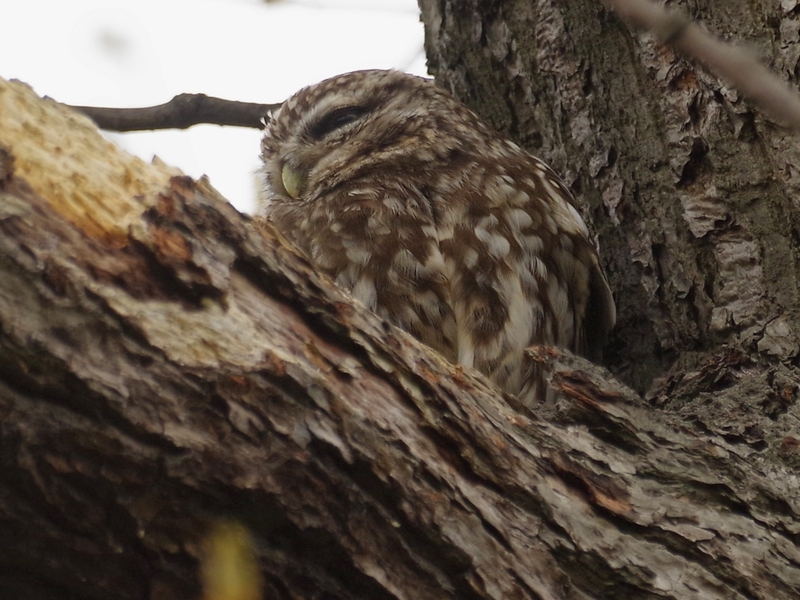 It worked hard on the branch for ten minutes. 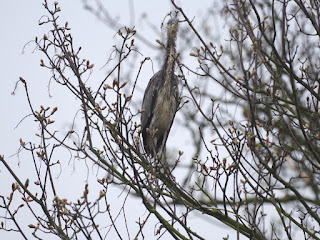 The Great Crested Grebes nesting at the west end of the island scolded a Canada Goose that was minding its business and only wanted to come past. 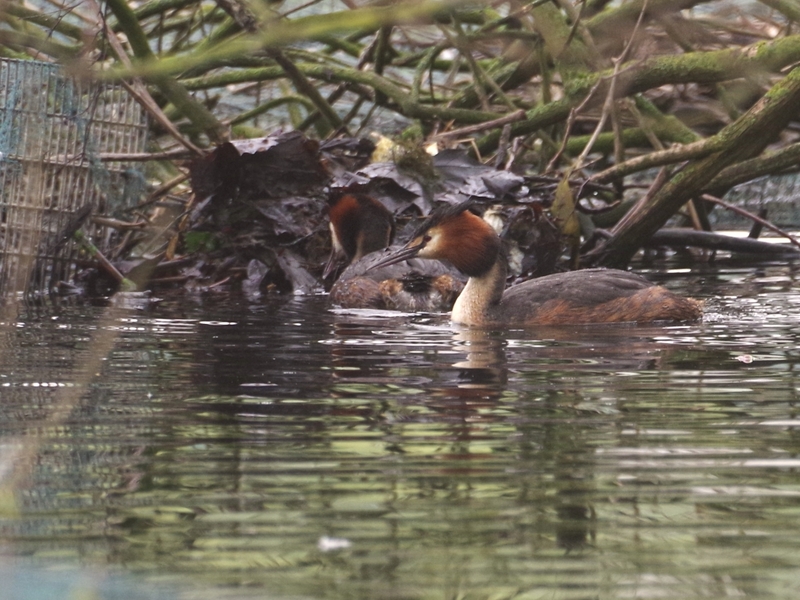 At the other end of the island, the grebes seem to have recaptured their nest from the Coots that took it, but the fight could go either way. 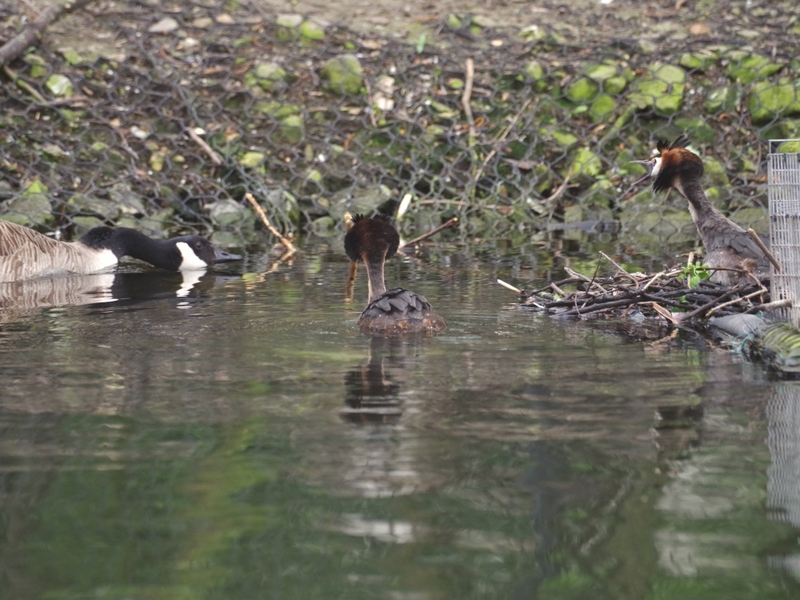 The new Coot nest at the Dell restaurant is built up from the bottom in a place where the water is about 2ft 6in (75 cm) deep. You can see the large waterlogged branches that form its submerged foundation. 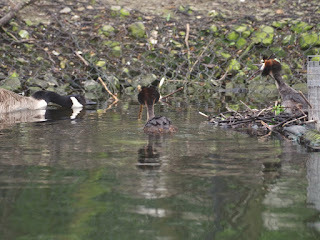 Another Coot nest is going up in the usual place near the Serpentine outflow. 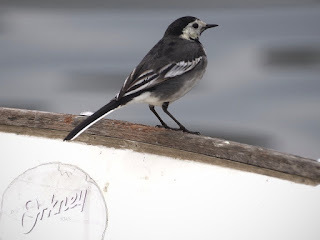 Last year one of the chicks that was inevitably washed over the weir survived and eventually climbed back up to the lake. 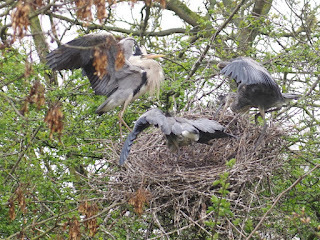 The usual detritus of plastic bags is welcome to the Coots, since they can be included in the nest to strengthen it, and the glitter ball will become an ornament. The Little Owl near the Albert Memorial was visible, but in an awkward place. A Pied Wagtail used a moored rowing boat as a base from which to dart out and catch flying insects. A Song Thrush sang its cheerfully silly song from a tree next to the bridge. 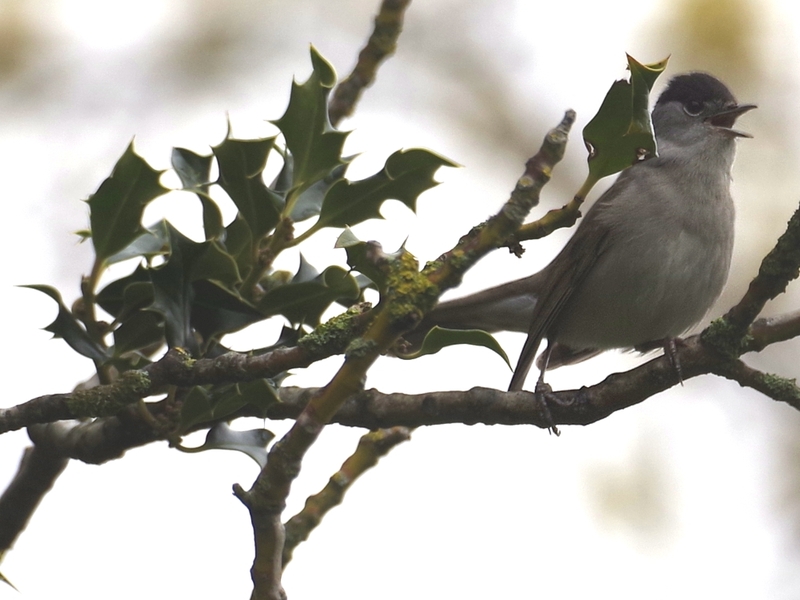 There was just enough time between outbreaks of traffic noise to get half a minute's recording. 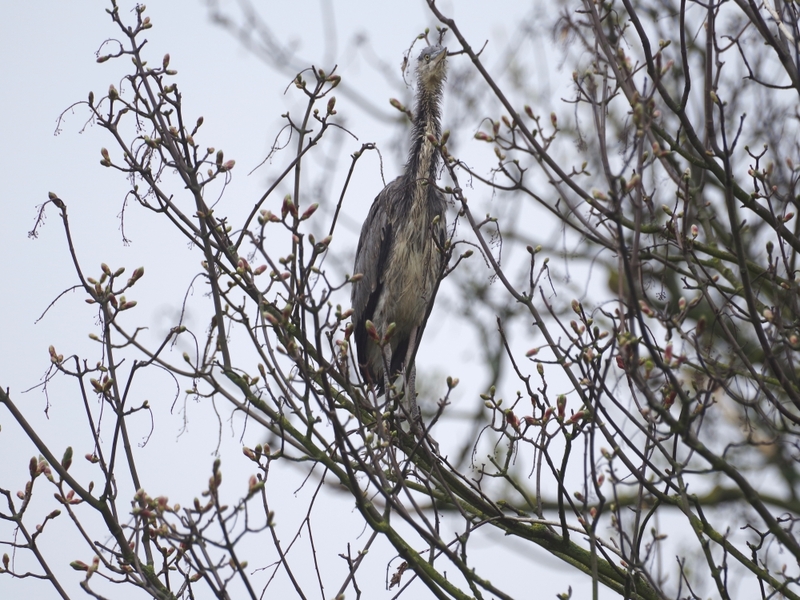 A Blackbird scolded a pair of Jays that had got into its nest tree, and drove one of them away. 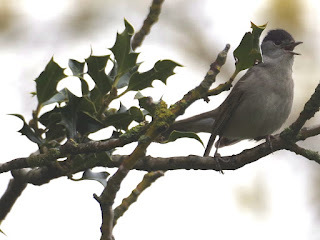 A Blackcap sang from a holly tree near Peter Pan. 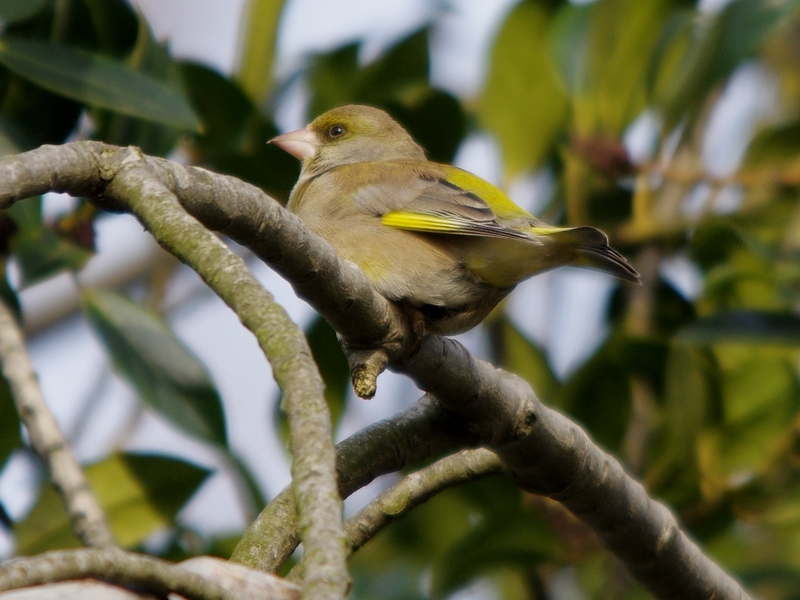 ... and a Greenfinch, making that peculiar wheezing noise that only Greenfinches make. A Wood Pigeon collected a twig for its nest. I hope the Swan won't be getting any ideas of collecting Mallards to adorn its nest with! You never know with swans. Today's Coots are oozing satisfaction about a work well done. 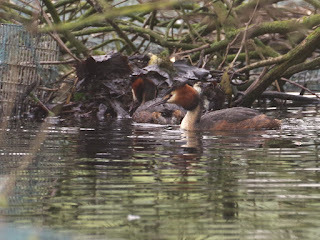 But I still hope that the Grebes will keep the nest for themselves. 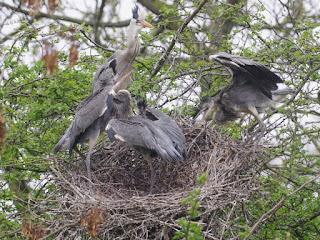 Would very much love to see a picture series documenting ornaments in Coots' nests! I'll never tire of listening to Song Thrushes and Blackbirds.